All jokes aside, on Monday, April 1, 2019, Public Matters welcomed a new cohort of three Urban Futures Lab Fellows! Ashley Ajayi, Brisa Aviles and Sabrina Im leaped into Public Matters’ creative civic engagement practice, including a Week 1 tour with former Fellow Shirley Ramirez in East Los Angeles. 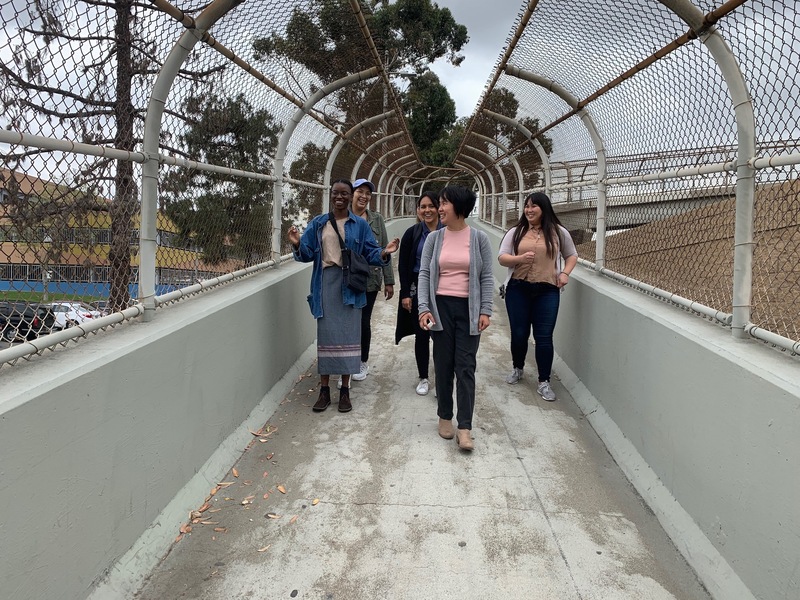 Over the first month – the orientation – the three will not only learn about the places Public Matters works through the eyes and experiences of former Fellows, but introduce themselves to Public Matters by crafting and leading their own personal tours of neighborhoods in L.A. County. We’re excited for the next two years with these three, and hope that the extended Public Matters family is as ready as we are to get to know Ashley, Brisa and Sabrina in the weeks and work to come.